Beleaguered phone maker Nokia this morning published its financial results for the third quarter of 2012, reporting a $754 million (576 million euros) operating loss on $9.49 billion in net sales (7.239 billion euros). Nokia says it sold 2.9 million Lumia devices, down from 4 million in the previous quarter (or 27.5 percent). Overall, the Finnish company sold a meager 6.3 million smartphones, down 63 percent compared to last year. Feature phone Q3 volumes were up 4 percent quarter-on-quarter but down 15 percent year-on-year to reach 76.6 million units, Nokia said. The company’s new Asha smartphones performed significantly better than its Lumia range with sales of 6.5 million units. The company ended Q3 with gross cash of 8.8 billion euros ($11.52 billion) and net cash of 3.6 billion euros ($4.72 billion), which is down from of 9.4 billion euros ($11.6 billion) and net cash of 4.2 billion euros ($5.2 billion) in the second quarter respectively. “As we expected, Q3 was a difficult quarter in our Devices & Services business; however, we are pleased that we shifted Nokia Group to operating profitability on a non-IFRS basis. In Q3, we continued to manage through a tough transitional quarter for our smart devices business as we shared the exciting innovation ahead with our new line of Lumia products. In our mobile phones business, the positive consumer response to our new Asha full touch smartphones translated into strong sales. And in Q3, our mobile phones business delivered a solid quarter with sequential sales growth and improved contribution margin. 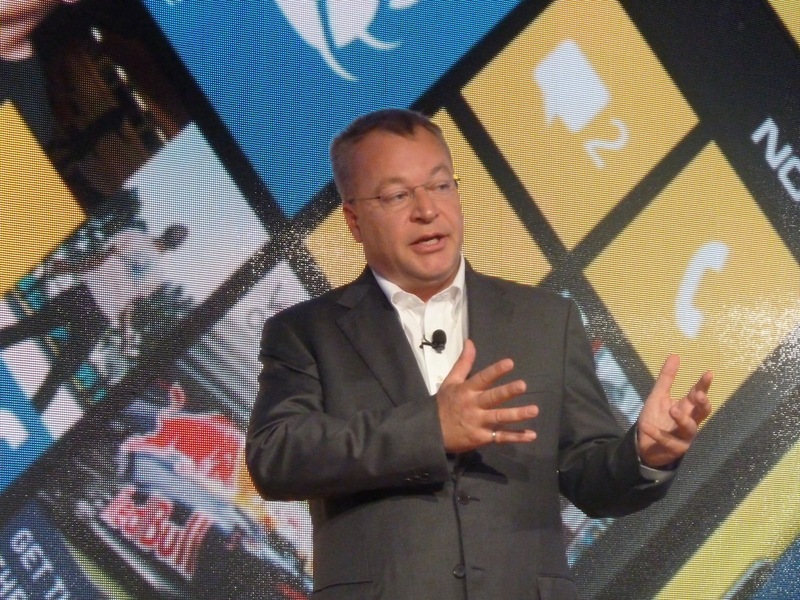 Elop said that Nokia’s Location & Commerce business grew on the back of high profile deals, including the one it signed with Amazon, which sees the retailer offer mapping services on its expanding range of personal devices. It’s been another difficult quarter for Nokia in the US, with smartphone sales cut in half from the previous quarter. Nokia reported 600,000 smartphone sales in July, but today’s figure stands at a very low 300,000. That’s no surprise, given Nokia’s backing of Microsoft’s new Windows Phone 8 operating system, which is set to launch on October 29. Nokia unveiled its updated smartphone line-up in September, which includes the Lumia 920 and Lumia 820, giving customers no incentive to purchase a new Lumia device until the new Windows Phone 8 devices shipped. Nokia is expected to launch both devices in early November, having already opened preorders in some European countries. Let’s hope the Lumia 920 and Lumia 820 reverses the smartphone slide.